It’s hard to believe, but we’re already one month into the legislative session, which will end no later than May 21. This week is the first deadline for first committee hearings on bills, and legislators are preparing for spring recess the first week in April, which is a popular time to set in-district meetings or tours. While we have a special update on MHP’s bill for a Tax Credit Contribution Fund, MHP is also working to support Homes for All Coalition priorities, including $140 million in bonds for housing: $110 million Housing Infrastructure Bonds (HIB) and $30 million General Obligation Bonds (GO), with senior and manufactured housing as new eligible uses. A proven tool to incentivize private investment and promote community and economic development, MHP is advancing a bill (S.F. 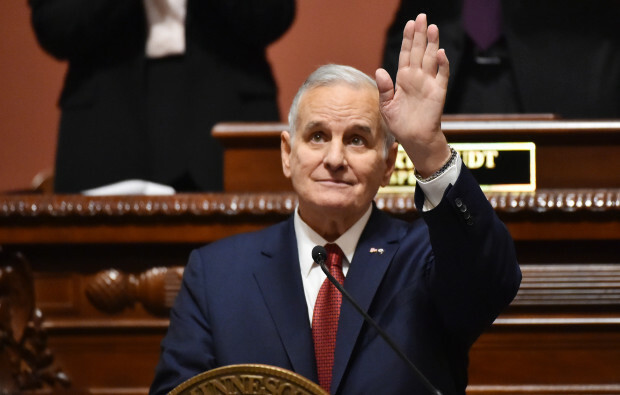 3301), introduced last week at the Minnesota Legislature, to create the Minnesota Tax Credit Contribution Fund, modeled after North Dakota's Housing Incentive Fund. Capitalized by contributions from taxpayers that have state income, corporate, or insurance premium tax liabilities, the fund will encourage local businesses and neighbors to invest in their community by creating housing opportunities. Participating taxpayers will receive credit against their state income tax liability equal to their contribution to a specific development or the general loan pool. A flexible, simple tool, the fund would boost local business and attract public and private funding to communities of all sizes across the state. **Get involved! ** Add your name or organization to a support letter, and read more about the MN Tax Credit Contribution Fund. Stay tuned for more information, as the bill will likely be heard this Thursday in the Senate Agriculture, Rural Development, and Housing Policy Committee. 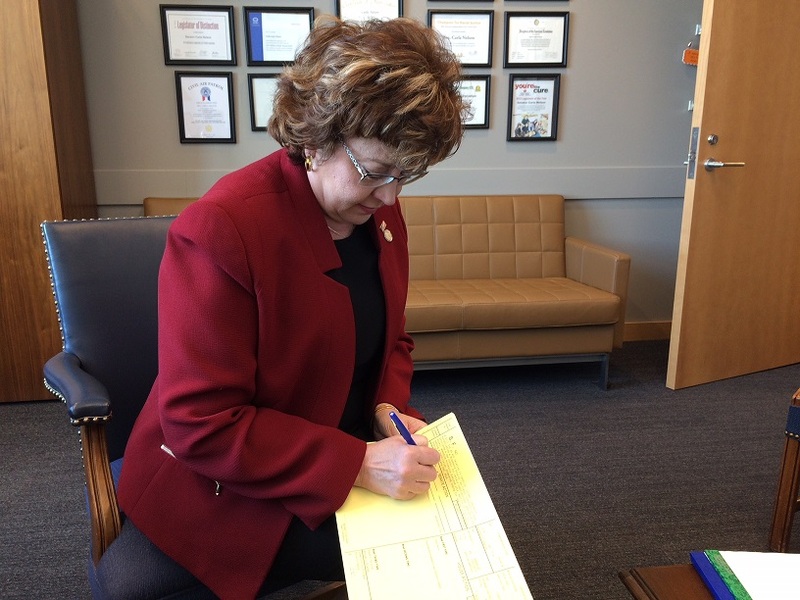 Photo: Sen. Carla Nelson (R-26) signs on to bipartisan bill S.F. 3301 as chief author. Additional authors include Sen. Mark Johnson (R-1), Sen. Jeremy Miller (R-28), Sen. Paul Anderson (R-44), and Sen. Kari Dziedzic (DFL-60). A bill amending Minnesota tax exempt bond statute may be heard in the Senate Agriculture, Rural Development, and Housing Policy Committee this Thursday. Growing out of the agreements of the tax-exempt bond steering committee, convened by MHP, the bill seeks to change statute to develop more rental housing. The Homes for All bonding request has been presented in the House and Senate, and Homes for All advocates continue to advance the bonding bill (H.F. 3125 | S.F. 2939) with more bipartisan support than ever before. See a full list of Homes for All 2018 bill authors here. On the appropriations side, the Minnesota Housing (H.F. 3474 | S.F. 3238) and Health and Human Services (H.F. 3402 | S.F. 3175) bills have been introduced, successfully meeting this Thursday's committee deadline. 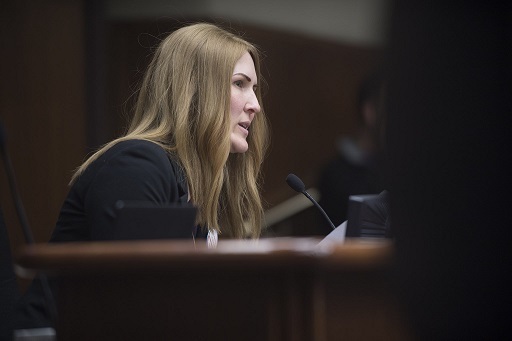 Photo: Homes for All Co-Chair Allison Streich testifies in support of the Homes for All Bonding request at Homeless Day on the Hill on March 6. On March 14, the Governor's Task Force on Housing hosted the first of six regional community forums in Austin. Dozens of residents representing faith-based organizations, housing advocates, business, nonprofits and government turned out to share their thoughts on housing needs in Southeast Minnesota. At least 15 communities were represented, from Albert Lea, to Mankato, to Dodge Center and Red Wing, and many more. Panelists from Albert Lea, Austin, Faribault and Red Wing both inspired and asked hard questions as they talked about housing needs in their communities. 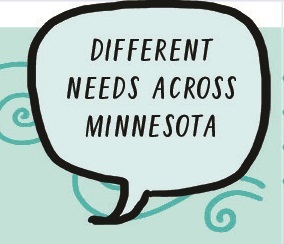 Join the Task Force for the next community forum on April 5 in Little Falls, MN. Graphic by Amy Batiste, graphic facilitator, drawn at the first Task Force meeting. Increasing funding for Homework Starts with Home, which provides housing assistance to families with school-age children at risk of homelessness. The Governor's recommendation of $4 million for 2019 and ongoing funding of $8 million per biennium will expand the program to 500 more families, including 1,000 children. Increasing the maximum level of the Manufactured Home Relocation Trust Fund be increased from $1 million to $3 million, a change sought by key stakeholders. The Trust Fund, funded from fees paid by park owners for every homeowner-occupied lot, ensures that relocation resources are available to owners of manufactured homes in the event that their manufactured home park closes. Read the full summary of the Supplemental Budget here. From the National Low Income Housing Coalition: Congress is currently negotiating an omnibus spending bill, which is likely to include a tax component, and must pass on or before March 23 when the current continuing resolution expires. This bill may be the last potential vehicle for the Affordable Housing Credit Improvement Act for quite some time, making the Housing Credit and Housing Bonds more streamlined and flexible. The Senate version of the legislation also includes a 50 percent increase in Housing Credit resources, which would finance approximately 400,000 more affordable homes over the next decade. To take action in these final days please check here for recommended action steps.